As an independent full service agency serving individuals and businesses in Northeastern Ohio for over 60 years. We service ALL of Ohio and especially Portage County along with Medina, Summit, Stark Wayne, Ashland, Richland, Lorain, Cuyahoga, Geauga, Trumbull, and Mahoning Counties. We provide all forms of insurance for businesses as well as personal, home, auto, classic car, life, motorcyle and commercial property coverage. Founded in the early 1960's by George Hubbard we were initially known as the Hubbard Insurance Agency,. 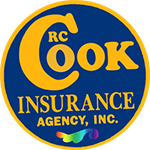 In 1970 Reba C. Cook (the RC Cook of the agency name) Bought into the company and it was known as the Hubbard - Cook Insurance Agency, In 1975 Reba then became the sole owner and the corporation became known as The RC Cook Insurance Agency, Inc. Reba was in the insurance business for over 60 years and was one of the first women in Northeast Ohio to own her own agency, and the second or third in the State of Ohio. In November of 2015 Reba Passed away and the agency was taken over by her son Rodney A. Cook, AIC, CIC. 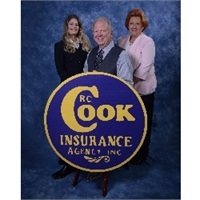 Rod has been in insurance for over 30 years working his way up from Adjuster, Claims Manager, National Fraud Manager and to his current position of owner/president, of RC Cook Insurance. Rodney has a BS from Ohio State University and has 23 yrs experience on the claims side of the business and 10 years in the agency. Rod has been the promise that we sell and is infinitely qualified to be a voice for our customers.